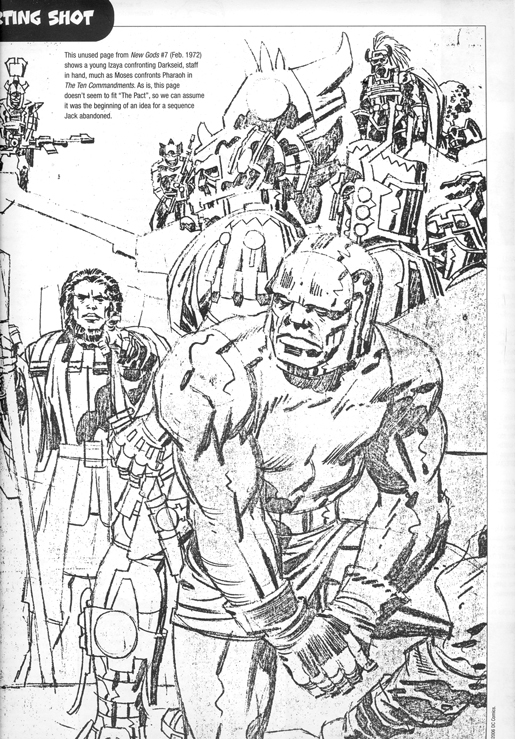 Posted May 13, 2010 in Darkseid, David Dell'oso, Jack Kirby, New Gods. Kirby-Vision in motion with this short video from David Dell’oso. Dave is based in Phoenix, Arizona and self publishes his own comic book, Cartown Comics. A keen photographer and sculptor, Dave also keeps a regularly updated sketchblog here. 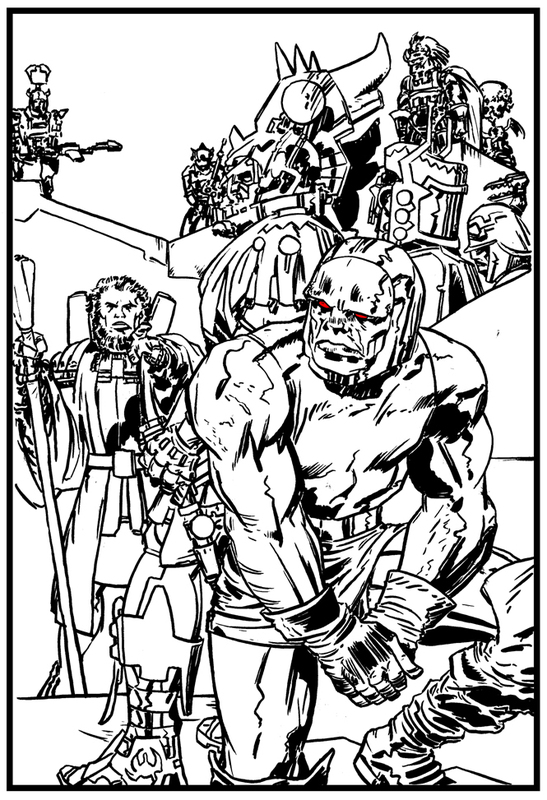 Presented below are Dave’s finished inks taken from an unused page from New Gods #7, originally reproduced in Jack Kirby Collector #46.